Stinging nettles is one of my favorite herbs. It is one of those magic plants that just gives! "Stinging nettle is an astringent, diuretic, tonic, anodyne, pectoral, rubefacient, styptic, anthelmintic, nutritive, alterative, hemetic, anti-rheumatic, anti-allergenic, anti-lithic/lithotriptic, haemostatic, stimulant, decongestant, herpatic, febrifuge, kidney depurative/nephritic, galactagogue, hypoglycemic, expectorant, anti-spasmodic, and anti-histamine. 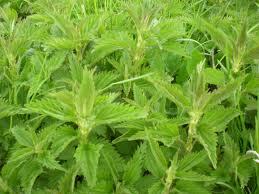 Nettle leaf is among the most valuable herbal remedies. Because of its many nutrients, stinging nettle is traditionally used as a spring tonic. It is a slow-acting nutritive herb that gently cleanses the body of metabolic wastes. It is one of the safest alteratives, especially in the treatment of chronic disorders that require long-term treatment. It has a gentle, stimulating effect on the lymphatic system, enhancing the excretion of wastes through the kidneys. There are many creative ways to incorporate the beautiful Nettle into your body, I prefer infusions. Simple. 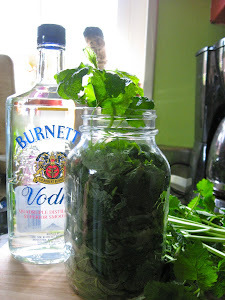 I put a handful of dry nettles in a quart size mason jar and cover with boiling water. Cover and let stand overnight. Strain the next morning and drink throughout the day. Voila! P.S. The only place I get dry nettles is at Mountain Rose Herbs. When you purchase dry nettles, make sure they are DARK green, and smell earthy. Anything that is grayish, or does not smell is usually old. It will not have the same healing properties. You can get a huge bag at Mountain Rose for under $10. You can be adventurous and pick your own Nettles. Yes, I think that is crazy, but I have done it and it is also very fulfilling to talk to Nettle and ask her to spare you the sting, thanking her for her healing as you pick :). Make sure to educate yourself before you go, and wear thick gloves! AND LAST, BUT NOT LEAST!! I love Nettles during the spring. It is a wonderful spring tonic, but my biggest secret is that she saves us from allergies. Yep. When the first blossoms come out, we Nettle up. I even give my fabulous Rex dry nettles. Last year, my dog started shaking his head violently, and licking his paws. I ended up taking him to the vet, as his ears and paws were bothering him and getting raw. The vet noticed that I had been there the same time of year (almost to the day) a few years back, with the same symptons. Why not the years in between? Duh! I was giving Rex Nettles RIGHT at the beginning of allergy season. $150 later, equipped with chemical war fare to help him heal, I swore to put him on a regime. So, I simply put a handful of dry Nettle into about a cup of wet dog food. He will gulp it down because he never gets canned food and this is a treat :). You can put it in anything wet: egg, make your food, etc. Start with a little first to see if your dog will tolerate it. 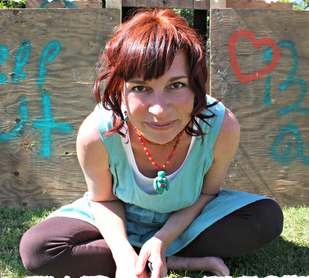 It is worth a try, and has saved me lots of $$'s! I have given up wheat! It is a dramatic adventure, as I live & breathe baked goods, bread, and pasta. I am experimenting, and often, the experiments are so bad not even the dog wants to eat it. BUT, every once in a while, I have a winner! These muffins are healthy, and SO yummy! I found this recipe on fannetasticfoods originally, but altered it a bit. Here is my version. I usually get about 8 nice sized muffins out of this. 2. In two large bowls, separately mix dry (flour, sugar, flax, cinnamon, baking powder/soda, salt) and wet (bananas, milk, yogurt, add-ins) ingredients. 5. Bake for 25 to 35 minutes. Time varies every time I make them. Do a sticky test for doneness. These muffins are moist, so do not overbake. Now spread with a thick slab of butter, and enjoy!